Students in classroom two created their very own works of art using molding clay. Each student used plastic sculpting tools and small pizza rollers to create their very own masterpieces. 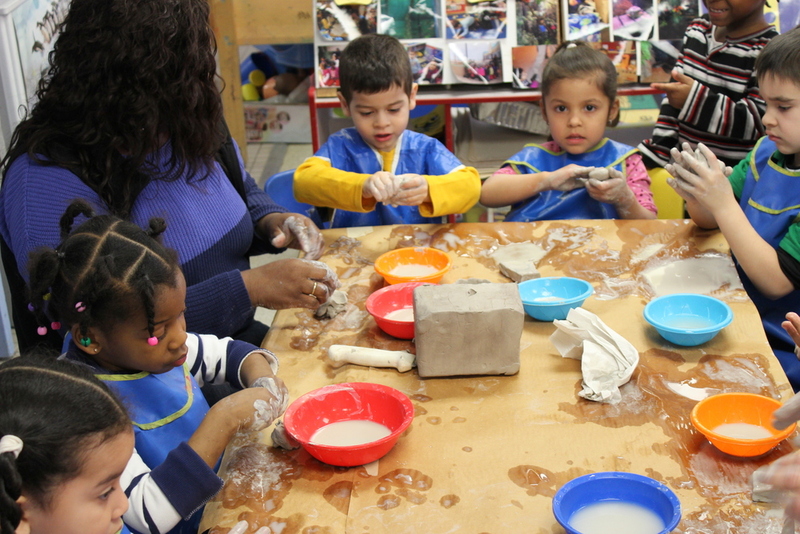 Playing and engaging in art is very fun, the students were also learning about different textures and the process clay goes through in the heat. Exposing children to different textures and giving them the ability to use their hands is very crucial in their early development. We have seen tremendous strides in the children's dexterity growth from the beginning of the year to the end in te year. What has been your experience showing young children new methods of art? Do you think texture learning is important is a child's growth? Share your thoughts and comments.